Rally Point Management, LLC is a service-disabled veteran-owned small business founded in 2006 that supports technology development and provides comprehensive joint warfighter training. Our team consists of personnel with diverse backgrounds in special operations and conventional warfare disciplines, to include Joint Terminal Attack Control, and unmanned systems employment. Rally Point Management’s expertise spans the areas of operations, test, acquisition, engineering, technology, training and logistics support. We are uniquely positioned to continue our core mission supporting advanced warfighting capability through training, technology, and subject matter expertise. RPM’s corporate leadership hails from the special operations community. Our CEO is a career Special Tactics Combat Controller, and our President is a retired AFSOC acquisitions officer. RPM’s team includes past members of the Combat Control Assosciation, current members of the Air Commando Association Board of Directors, and the Tactical Air Command and Control Assosciation. All of RPM’s Program Managers and Site Leads are combat-proven veterans that lead a team of operators supporting operators. Chris Crutchfield is a co-founder of Rally Point Management, LLC (RPM), currently serving as Chief Executive Officer. Chris is responsible for setting the strategic direction, overseeing executive staff, and executing corporate business. Chris’s vision and guiding principals have been the key attributes in forming the RPM culture and the company’s overall success. Since starting the company, RPM has grown substantially, supporting customers at locations across the US and abroad. Chris has more than 20 years of operational experience as an Air Force Special Operations Command (AFSOC) Special Tactics Combat Controller. During his service, Chris was instrumental in supporting State Department Regional Security Teams by providing survey expertise in support of the Integrated Survey Program for Non-combatant Evacuation Operations (NEO) and was a pioneer in establishing the Small Unmanned Aircraft Systems capability to the SOF community. Chris went on to manage the Battlefield Air Operations program that provides SOF Joint Terminal Attack Controllers with state of the art equipment that revolutionized Close Air Support capabilities of the SOF JTAC community. Chris, born in Nashville, Tennessee, was raised as a military dependent living at numerous locations during his upbringing. After graduating from Niceville High School, Chris followed in his father’s footsteps by joined the United States Air Force in 1986. Chris is married to the former Corrie Lynn Patch of Fort Wainwright, Alaska. Mike Ward is a co-founder of Rally Point Management, LLC (RPM), currently serving as President. Mike is responsible for leading, guiding, and directing the company’s day-to-day operations in accordance with RPM’s strategic plan. Mike’s leadership has enabled the company’s 766% increase in revenue by since 2009, achieving a spot on the Inc. 500’s fastest growing private company list four years in a row. Mike served as an acquisition officer in the United States Air Force for several different aircraft and weapon system programs as an engineer, test manager, and program manager. He also managed and led advanced technology and classified programs at HQ Air Force Space Command and HQ Air Force Special Operations Command. He retired from the Air Force in 2006 after 20 years of dedicated service. Mike was born in Aurora, Colorado and graduated from the United States Air Force Academy in 1986 with a Bachelor of Science degree in Engineering Mechanics. He received a Masters degree in Management Science from the University of Dayton in 1991. Mike is married to the former Missy Edwards of Peru, Indiana and has two children, McKenzie and Mason. Brett Verzwyvelt joined Rally Point Management, LLC (RPM) in 2018 as Executive Vice President. Brett is responsible for helping lead the company’s corporate day-to-day operations in accordance with RPM’s strategic plan. Brett brings vast technical experience in Electronic Warfare (EW) and Test and Evaluation business areas. Brett has over 30 years of experience in EW and Test and Evaluation. He recently retired as the Chief Engineer, 53d Electronic Warfare Group. In this role, he had oversight of EW mission data software programming for the Combat Air Force fighters and bombers, the joint US F-35 program, support to eight F-35 partner nations, and support to 27 allied nations. He also oversaw multi-domain assessment programs, operational EW modeling and simulation programs, and numerous advanced operational technology programs. Brett was born in Eunice, Louisiana and graduated from Louisiana State University with a Bachelor of Science degree in Electrical Engineering. He received a Masters Degree in Business Administration from the University of West Florida. Brett is married to the former Stella Geeker of Pensacola, Florida and has three children, Victoria, Alexa, and Zachary. Nathan “Deacon” Hoffman has been with Rally Point Management since 2013 and currently serves as the Director of Operations. 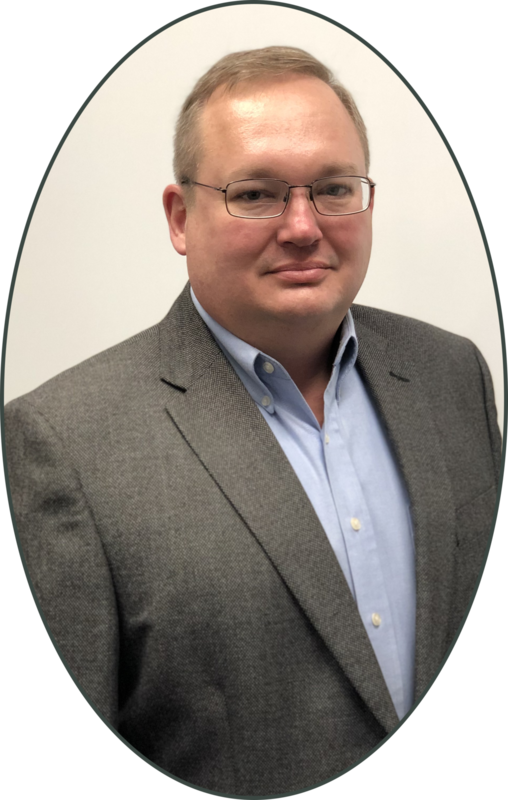 Nathan oversees daily operations where he uses his past experience as an RPM field instructor and site lead to plan for and manage continued quality growth in accordance with RPM’s strategic plans. Deacon is a retired USAF Tactical Air Command and Control Party (TACP), Joint Terminal Attack Controller (JTAC), JTAC-Instructor, and Chief of Standards and Evaluation. Before retiring, he was involved with Air Force Space Battle Lab research and development efforts, served as the JTAC at levels from Battalion to Division with the US Army, and supported multiple inter- and intra-service along with multi-national training and combat operations to include the Air Force Red Flag-Alaska CAS integration. Deacon, born in East Point, GA, graduated from Bob Jones University in Greenville, SC in 1992 with a Bachelor of Arts degree in Theology. He received his Masters degree in Ministry from Bob Jones University in 2015 and Masters of Business Administration and Masters of Education from Keiser University in 2018. Nathan is married to the former Joy Kruse of Owatonna, Minnesota and has two children, Greg and Garrett.